Klaus Froehlich, a BMW board member who oversees the company's research and development, spoke with Reuters at the Geneva auto show this week. He said BMW is working internally on the next evolution of the automotive business, hoping to ensure it doesn't lose out to newcomers. Froehlich even used an analogy from the smartphone industry, where many companies are simply part of the massive supply chain for profitable handset makers like Apple. "Our task is to preserve our business model without surrendering it to an Internet player," Froehlich said. "Otherwise we will end up as the Foxconn for a company like Apple, delivering only the metal bodies for them." This isn't the first time BMW has expressed caution about sharing information with companies like Apple, out of worry that it might effectively become just another supplier. However, technologies like self-driving systems might demand help from outside parties such as Apple and Google, which are more familiar with software. BMW apparently plans to have half of its R&D team be computer programmers within the next five years. Currently, just 20 percent of its 30,000 R&D employees work in software. Froehlich said BMW won't be able to hire all of those employees in-house, requiring the company to partner with others and outsource some of the work. 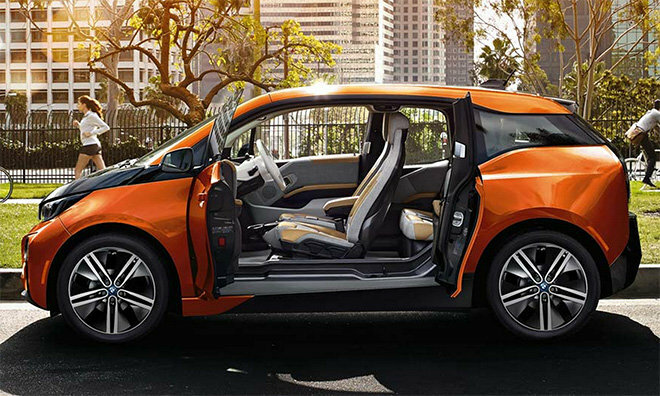 Apple is said to have considered using BMW's i3 as the basis for its "Project Titan" automotive efforts. Apple and BMW have even held talks about a potential partnership, though it's been said that the two parties were not close to an agreement. Apple CEO Tim Cook and a team of senior managers allegedly visited BMW's electric car facility in Leipzig in 2014. In particular, Apple was reported to have been impressed that BMW has "abandoned traditional approaches to car making" in developing the i3. Apple's top brass have apparently indicated they are interested in taking a similar, fresh approach to the automobile with their own initiative.